The Toyota Corolla Altis in India is just an evolution of the previous car and not a revolution. Both the petrol and the diesel variants look different from each other and that, actually is a good move by Toyota Kirloskar Motors. This would help distinguish the car from the other cars which have the same look for their petrol as well as diesel variants except for the diesel badging at the rear. The diesel variant which we have on block here gets a honeycomb grille with the tear shaped head lamps flanking them. The air dam is subtly small but then it is a clear cut design. This design formula can also be seen in the Camry and also the new Etios sedan. By the way, the head lights are one of the best in the business. They are HID kits and something which we all fancy, white light. The fog lamps in contrast are small units like a rupee coin. The shut lines however seemed a bit irregular compared to the petrol variant. The 195/65 R15 are common to both the diesel as well as petrol variants. This means that this car has a planted stance. They perfectly fill the wheel arches well. There is a single quarter glass treatment at the rear window. The door handles are also chrome laced ones. The rear profile shows up the split tail lamps, which have a similar shape like the front ones. The rear hatch handle is also chrome. Integrated into the bumpers are two round reflectors. The inverted tail pipe is a common thing for both the petrol and diesel variants. The interiors haven’t changed much or rather they haven’t changed at all from the petrol variant. The optitron meters still held on to my attention. The half wood, half leather steering wheel feels good to hold but I know that from previous experience that I wouldn’t be saying the same thing about its application. It however boasts of audio controls as well as cruise controls. The two tone dash along with wood inserts have a feel good factor attached to them. Infact, I loved those beige seats in the Toyota Corolla Altis in India that I feel that they are way too superior to the ones found in the competition namely the Chevrolet Optra that I drove recently. The very fact that it is 8 way adjustable adds to the feel good factor. Those rectangular AC vents also do a good job of directing air flow in the right direction. The glove box is also huge and it is a two stage one. The in dash 6 CD changer system along with USB and AUX input makes it one for the geeks. The audio output from the 6 speakers also is satisfying if not exceeding expectations. The auto climate control also does a good job of cooling the cabin within no time. The rear seats are also comfortable since most of the times, this car would be chauffer driven and Toyota Kirloskar Motors have paid special attention to this aspect. The rear passengers are treated to a flat floor and their own aircon controls. One of the features which not many premium segment cars offer is a rear blind for the rear passengers. 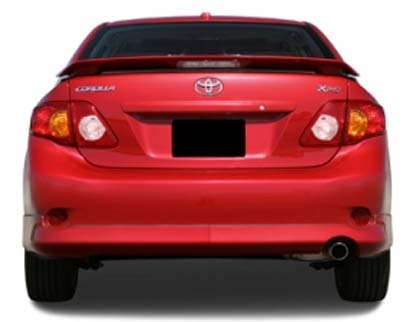 However the Toyota Corolla Altis does boast of this feature. The boot space is also good at 475 liter and this coupled with the 60:40 split seats allow carrying lots of luggage with ease. The boot is also lit by a single bulb thus making loading chores easy. Well, the new Toyota Corolla Altis in India in its diesel avatar gets a new electronic power steering. The specialty of this power steering is that it comes into action or rather uses power only when steering force is required. It is said to be environment friendly as well since it doesn’t have hydraulic fluid in it. Well, my initial skepticism about the steering was correct since it looks good and is chunky to hold but then lifeless in feel. So in feel, it hasn’t been changed much than its petrol sibling. It is light at parking speeds but then becomes lifeless once the speeds rise. But then having a heavy diesel motor on the front wheels to steer does make a difference. Since this car is been billed as a chauffer driven one, ride quality is something which the engineers at Toyota Kirloskar Motors have put in efforts at. L-arm MacPherson strut for the front suspension and new torsion beam at the rear does help in providing a pliant ride quality for most of the terrain. High speed stability however is a bit disconcerting though. The car has a bit of tendency to pitch and bob and sometimes gets affected by crosswinds as well. Handling is strictly okay with the car displaying an aversion to turns at high speeds. It prefers to do its work at sedate speeds. It is easy to park as well with the reverse parking sensors assisting one visually and audibly as well. The road noise is something which the occupants are nicely cocooned from. However if you are shifting loyalties from a petrol engine to the diesel one, you would definitely notice the faint diesel clatter. The Toyota Corolla Altis in India is offered with two engines. The one in question which I had for the review was the diesel one. It is a 1.4 liter unit which is a common rail unit(don’t know of anyone who doesn’t make one nowadays) pumping out 88 Bhp @ 3800 rpm whereas the torque spread is 205 Nm @ 1800 rpm. Disappointing as you may point out for such a heavy sedan. But then what matters more is the torque spread which is available from as low as 1800 rpm. This is mated with a 6 speed manual transmission which has been exclusively made for the the diesel power plant. It does the 0-100 kmph run in only 14.7 seconds and crosses the 158 kmph top speed easily. The petrol on the other hand is a familiar unit which has been doing duties since 2002 in India. It is the 1794cc , 16 Valve, 4 cylinder, VVT-i DOHC unit which pumps out 132 Ps of peak power at 6000 rpm whereas the peak torque generated is 170 Nm @ 4200 rpm. This engine is combined with a 4 speed manual or 4 speed auto transmission. The 0-100 kmph mark is achieved only in 11.4 seconds by the manual transmission whereas the auto one does it in 12.5 seconds. The top speed for both however is 177 kmph. Brakes are front ventilated discs and rear solid discs. Toyota Kirloskar Motors have kitted the diesel variant well with ABS, EBD and also Brake Assist. These features retard the motion of the car well within safety limits. Safety is tended by the GOA body, multiple air bags and seat belts with pretensioners. Fuel efficiency is the best part of the Toyota Corolla Altis diesel. It did manage to give a realistic 16.1 kmpl in the city whereas the highway figure was 21.3 kmpl. This has got to be the most fuel efficient diesel sedan in its category and one below. The petrol on the other hand gives a fuel efficiency of 11.3 kmpl in city and 15.1 kmpl on the highway. Toyota have also launched a CNG version so expect it to better the petrol’s mileage by 30%. Toyota Kirloskar Motors have been always late in introducing their quality products into the Indian market but as and when they are launched, the models are an instant hit. Classic example can be taken of the Toyota Fortuner in India. With the Toyota Corolla Altis in India in its diesel avatar, the company have released a cat amongst the so-called pigeons. It has got good looks on its side, ample interior space, is feature rich and best of all very fuel efficient. On top of it, it has got that Toyota badge and reliability. Its power output may not seem that good on paper but on the road, it is a real performer. The Toyota Corolla Altis price in India starts from Rs 12,02,300 for the base petrol and goes all the way to Rs 14,38,900 for the top of the line petrol with CNG option. All these prices are ex-show room, Mumbai. 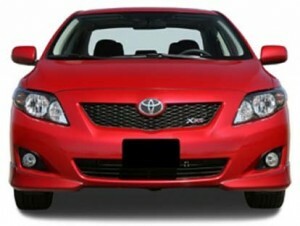 can you exactly tell me when is this New toyota altis 2011 will be launched in delhi,india. i have already booked one but after checking the new pics 2011 i am planning to delay my decision. As of now, Toyota Kirloskar Motors haven’t made any official announcement on the launch, so as and when the company does make it official, we would update the details on our website along with the prices of the same in Delhi. Even I was thinking to buy an Altis but after seeing the new models pictures have thought of delaying my decision or shifting over to Civic .